André de Saint-Rat Collection of Russian History, Literature & Art: The Russian resources and the André de Saint-Rat Collection of Russian History, Literature and Art in Special Collections document the period from 800 – 1950 AD. 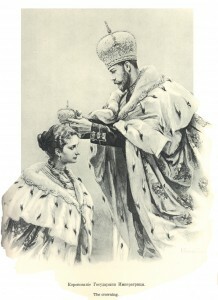 Several of the volumes are from the library of Czar Nicholas II. This collection specializes in Imperial Russia and its military regiments before, during and after the Russian Revolution into the new Union of Soviet Socialist Republics, as well as the military units of the 18th and 19th centuries. Autograph Albums, Scrapbooks and Ephemera (pdf): This collection includes autograph albums, scrap albums, scrapbooks of newspaper clippings, rewards of merit, religious cards, bookmarks, and friendship cards. Basil Bunting Collection (pdf): This collection includes journal issues featuring articles pertaining to the life and work of British poet Basil Bunting; photocopies of newspaper clippings pertaining to the Bunting family; photocopies of notes made by Bunting’s wife, Marian; text and photographs from a posthumous exhibit about Bunting in Northumberland; postcards and brochures illustrating Bunting’s tombstone in the Brigflatts Burial Ground, the D.H. Lawrence Birthplace, and other English landmarks; and a recording of Bunting reading Briggflatts at the University of British Columbia, November 20, 1970, with an introduction by Peter Quartermain. Benjamin Harrison Collection: Letters, memorabilia of Benjamin Harrison and his wife, Caroline Scott Harrison. 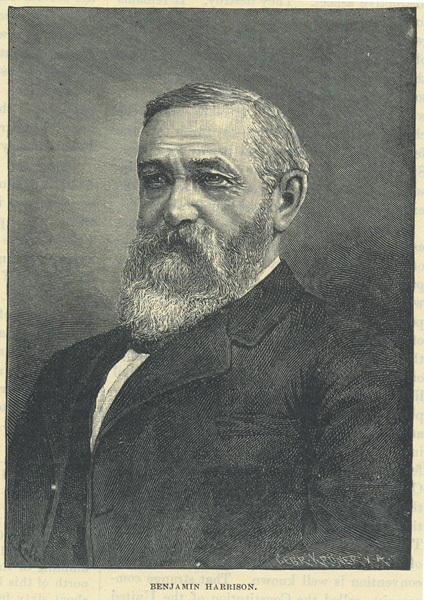 Benjamin Harrison, grandson of the ninth President (William Henry Harrison, elected in 1840), graduated from Miami University in 1852, served in the Civil War as a Union officer, and was elected to the United States Senate from Indiana in 1881. As Senator, Harrison defended the interests of homesteaders and Native Americans against the railroads, supported generous pensions for ex-soldiers, and fought for civil-service reform and a moderately protective tariff. He served one term as the 23rd President of the United States (1889-1893), a moderate Republican who won an electoral majority while losing the popular vote by more than 95,000 to Democrat Grover Cleveland. Bleriot Lamarre Collection (pdf): This collection includes letters written by Bleriot Lamarre to Mildred Readnower during their courtship and his senior year at Miami University; letters written between the couple from March to June 1939; newspaper articles and manuscript items related to the Lamarres’ involvement in the trial concerning Bennett E. Meyers’ income tax evasion; diaries kept by Bleriot Lamarre from 1964 through 1975; and scrapbooks documenting Readnower’s trip to the 20th biennial convention of Beta Sigma Omicron in Pasadena, California, July 1-4, 1931 and the Lamarres’ activities in California, June-December 1939 and their trip back to Dayton in January 1940. Church Records Collection: This collection includes minute books, financial records, membership records, court records, histories and other manuscript materials from several churches in and around Southwestern Ohio. The bulk of the Church Records Collection comes from local area Presbyterian churches, most notably the Presbyterian Church of Oxford and Hopewell Church in Preble County. Clyde N. Bowden & Charles D. Shields Postcard Collections: The Walter Havighurst Special Collections holds approximately half a million postcards from all places and times of the 20th century world. Clyde Fisher and Te Ata Collection (pdf): The Clyde Fisher and Te Ata Collection is mainly comprised or Dr. Fisher’s travel journals, as well as biographical information related to him. We have travel journals from 1924 to 1946 from all over the world. Also in the collection are photographs, biographies, and articles written about Fisher. There are also publications written by Dr. Fisher during his career at the American Museum of Natural History. 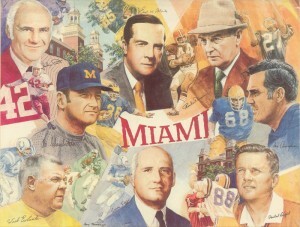 Cradle of Coaches Archive: Miami University has been called the Cradle of Coaches. Each of the following was a Miami player and sometimes also a coach or assistant coach at Miami. The Archive includes playbooks, correspondence, memorabilia, photographs, posters, artifacts, and/or papers of many coahces, including: Weeb Ewbank, Paul Brown, Carm Cozza, Sid Gilman, Bo Schembechler, and Randy Walker. David Basset Snow Collection (pdf): This collection features letters written by David Basset Snow to his brother, Joseph C. Snow, from 1854 to 1868. Letters describe Snow’s life as a student at Miami University, his first job as a teacher, his experiences as a soldier during the Civil War, and his study of law after being mustered out of the service. David McNeil Collection (pdf): This collection includes manuscripts, printed material, postcards and photographs pertaining to railroads, including railroad timetables; newsletters of railroad-related organizations in Cincinnati, Ohio; brochures and promotional materials for various railways; an initial feasibility study for Cincinnati’s proposed historic streetcar line; and slides associated with the Cincinnati Georgetown & Portsmouth Railroad. Edgar and Faith King Juvenile Literature Collection: Printed from the seventeenth century through the 1900s, the Edgar and Faith King Juvenile Literature Collection provides insight into the activities of children for more than three hundred years. 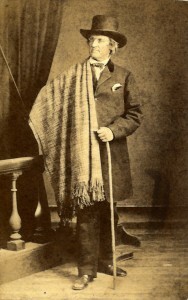 Edwin L. Barrett Collection (pdf): This collection contains correspondence between members of the Barrett family, handwritten newspapers, journal entries, poetry, compositions, notes, receipts, music, landscape drawings, and printed material, including Oxford Female Institute catalogues from 1856 and 1857, newspaper clippings, and a biography of Edwin Lawrence Barrett. 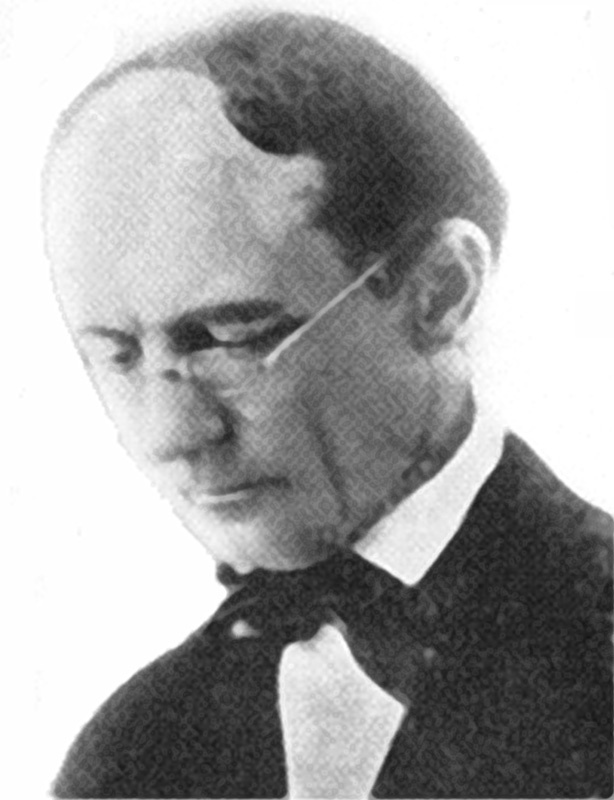 Eldon Hill Collection: Hill was a major scholar and acquaintance of American author Hamlin Garland. This collection includes Hill’s research, correspondences and other documents by Garland, and autographed and annotated copies of Garland’s work. Elizabeth Gold Collection (pdf): This collection includes ledger books, a bar book, and a single entry bookkeeping ledger, dating from 1832 to 1882, and also from 1931 to 1940. All of the ledgers were presumably kept by the Albert family of Pennsylvania. English Toy Theater Collection: The English toy theater was a craft hobby for children of the 1800s, which evolved from the popularity of theatrical portraits sold as souvenirs in London. 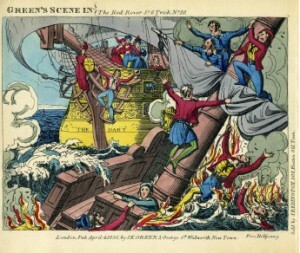 Each toy theatre play (sold for either “a penny plain or two pence coloured”) was comprised of several sheets of paper illustrating characters and settings from contemporary productions that children would cut out, assemble and then perform in little wooden theaters for their friends and family. Ephemera Collection (pdf): This collection includes autograph albums, scrap albums, scrapbooks of newspaper clippings, rewards of merit, religious cards, bookmarks, and friendship cards. Ferdinand Bach Collection of Native American Materials (pdf): This collection includes autograph albums, scrap albums, scrapbooks of newspaper clippings, rewards of merit, religious cards, bookmarks, and friendship cards. 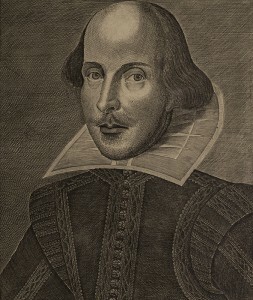 Folios of William Shakespeare: The Walter Havighurst Special Collections is fortunate to hold a complete set of all Four Folios of the works of William Shakespeare, which were donated to Miami University in 1949 by Dr. O. O. Fisher. Fisher was a Miami alumnus (class of ’09) who went on to become an industrial surgeon and an avid book collector. The First, Second, and Fourth Folios are from the matched set once owned by Lord Leigh. The Third Folio was once a part of the collection of John Gribbel. George Orwell Collection (pdf): This collection includes: first edition books by Orwell, foreign language editions, contributions to books by Orwell, contributions to periodicals by Orwell (as Eric Blair), contributions to periodicals by Orwell (as Orwell), presentation copies to George Orwell, books about Orwell and his work, books having chapters or sections on Orwell. George Seeley Collection (pdf): The collection includes correspondence sent by George Seeley to his parents, his future wife, Peg Fisher, and other family members during his World War II service, especially with the 105th General Hospital in Australia and New Guinea. 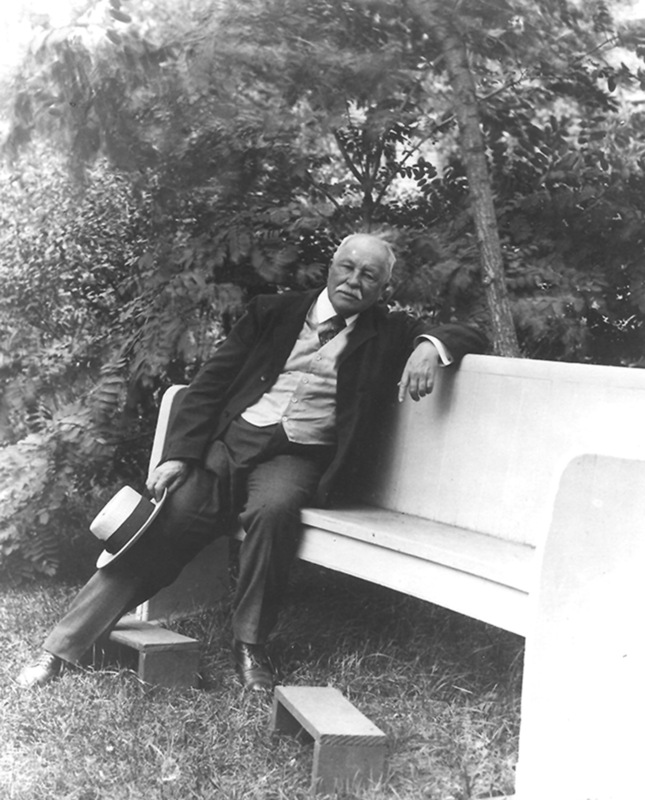 Gilbert-Richards Collection (pdf): This collection features the correspondence of the families of Giles Richards, pioneer textile manufacturer, and Colonel Alfred West Gilbert, a citizen and public official of the city of Cincinnati. It includes a series of Civil War letters written by Colonel Gilbert to his wife during his period of service in the Union army as an officer of the 39th Ohio Volunteer Infantry. 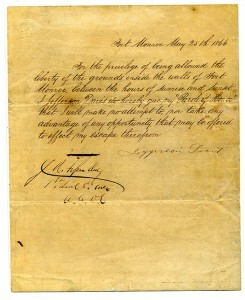 These letters led to a correspondence with Adolph Gilbert, a son of Colonel Gilbert. James Reiss Collection: This collection starts with correspondence and includes letters from colleagues and fellow writers, which offer valuable information on writing and publishing, from finding work and applying for grants to the writing process and getting published. Colleagues and former students sometimes included copies of their work in their correspondence for Reiss to read over and critique, while Reiss did the same with his new work. 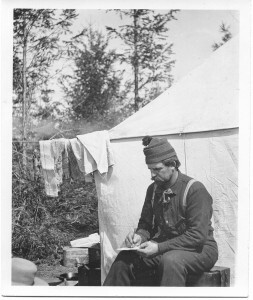 Reiss also wrote and received many congratulatory letters in response to new poems or books recently published. The collection also includes a large amount of correspondence from publishers, whether they were rejecting, accepting, or soliciting work, and offers information on the publishing process. 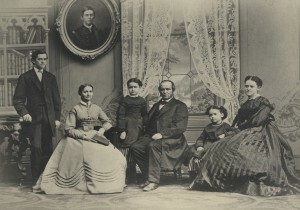 James W. Hamilton Family Papers (pdf): The James W. Hamilton Family Papers consist primarily of correspondence sent or received by James W. Hamilton (1811-1879) his wife, Climena E. Hamilton (née Allen), and their family, several of whom were involved in the practice of medicine, local politics and educational pursuits in both Ohio and Illinois. 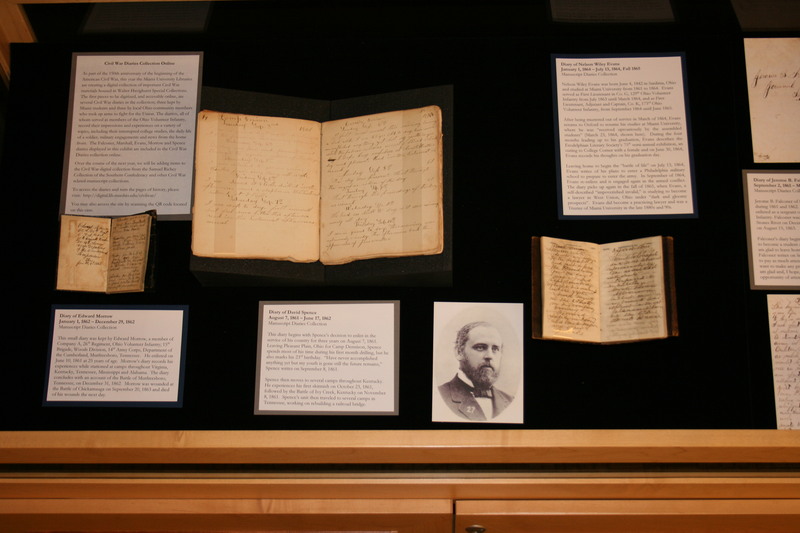 In addition to the correspondence of the Hamilton family, this collection also includes Dr. James W. Hamilton’s Daily Record book containing records of his medical appointments from 1831- 1844 and numerous documents related to Hamilton’s time in the Ohio state legislature. Several catalogues from his children’s school years are also included. John B. Ballinger Collection (pdf): This collection includes correspondence of the John B. Ballinger family between 1904 and 1908, essays and poetry written by John Ballinger, invitations to Horace Ballinger’s graduation from Versailles High School and Miami University, John Ballinger’s diary kept between 1930 and 1939, and other family documents. John E. Dolibois Collection (pdf): The collection includes items from John E. Dolibois’ time as the United States Ambassador to Luxembourg as well as two photo albums: one from a trip in which he led Miami students through Europe and another from the dedication of the John E. Dolibois Scholar-Leader Room in Elliot Hall. In addition to the photo albums, there are four appointment books, two guest logs and two binders, all dating from 1981-1985, his time in Luxembourg. John Hough James Collection: This collection features the diaries of John H. James beginning in 1821 and concluding in 1881 and correspondence sent and received by members of the John H. James family from 1814-1863. The John H. James Correspondence Collections include correspondence sent and received by John H. James, his business associates, friends, acquaintances, and clients. The John H. James Collection: Business and Family Papers features correspondence, account books, photographs, and financial and legal documents belonging to John H. James and various James family members. John W. Browne Collection (pdf): The collection includes correspondence, receipts, resolutions, financial documents, and miscellaneous items pertaining to John Browne’s mission to secure donations of money and books for Miami University. Labiche–Leveaux Papers (pdf): This collection contains correspondence, manuscript books, newspaper clippings, and printed material pertaining to the French dramatist Eugène Marin Labiche (1815-1888) and Alphonse Leveaux (1810-1893). Lee and Rosemary Fisher Papers (pdf): This collection is mainly comprised of letters written between Lee and Rosemary Fisher (née Holoviak) between 1969 and 1970, while Lee was serving in Vietnam with the 101st Airborne Division. 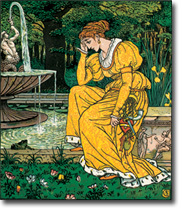 Included in the letters are also newspaper clippings, poetry, greeting cards and photographs. During his time in Vietnam, there are also letters written to and from Lee’s friends and family. The collection also includes writing by Lee as well as miscellaneous items such as magazines, programs and Vietnam related audio tapes. Manuscript Diaries Collection: This collection includes diaries written from 1835-1892, focusing on life at Miami University and the Civil War. Authors include: Joe Bogue, Nanncy Mae Coppock, David Spence, Edward Morrow, Nelson Wiley Evans, Thomas B. Marshall, Joseph Cannan Smith, Jerome B. Falconer, and Joel Buttles. 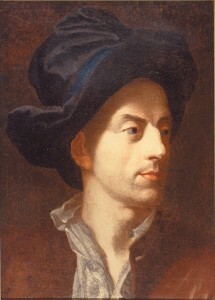 Matthew Prior Project: Photographic copies (photographs or photocopies or microform) of the nearly 3,000 letters to and from him known to be extant in manuscript or print. Special Collections owns four of the original manuscripts; the remaining original manuscripts are scattered among thirty-seven other repositories, both public and private, chiefly in the U. S., Great Britain, France, and the Netherlands, with nearly 300 correspondents represented. McKee Family Papers (pdf): This collection consists largely of series’ of correspondence between George H. McKee (I) and his wife Maria (Marshall) McKee as well as later correspondence between George H. McKee (I)’s cousins Agnes M. McKee (Scott) and Jessie McKee and his son George H. McKee (II). The collection also includes correspondence from other family members, legal, financial, military, and tax documents collected by family members over the years. There are a number of photographs, photograph albums, prayer books, diaries, account books, and other bound materials included as well. Miscellanea Collection (pdf): This collection contains correspondence, manuscripts, photographs and printed material by or about notable individuals in literature, the arts, and history. Several documents provide insight into the history of Miami University and many Ohio communities. Murat Halstead Collection (pdf): This collection includes clippings of Murat Halstead’s newspaper articles, presumably from the Cincinnati Commercial Gazette, together with some newspaper articles about Halstead and one piece of correspondence from Halstead. Myaamia Collection: The Myaamia Collection was established by Miami University and the Miami Tribe of Oklahoma as a repository for the Miami Indian historical and cultural materials. The collection has a language component that will reflects the efforts of members of the tribe to revitalize the Miami Language. The collection is in ongoing development, and already includes original annuity rolls, land grants, letters, and photographs. It is anticipated that the collection will also include tribal archives, historical documents, papers, cassette tapes, compact discs, and other ephemera from tribal members. Native American Women Playwrights Archive: The Native American Women Playwrights Archive (NAWPA) is a collection of original materials by Native women playwrights of the Americas. NAWPA hopes to identify playwrights, collect and preserve their work, try to make it widely known, and encourage performances and continued creativity. Plays in manuscript, disk, videotape, or other format are cataloged, given appropriate preservation treament, and made available to anyone who wishes to read them in the library. Percy MacKaye Collection (pdf): The Percy MacKaye Collection includes correspondence of or about Percy MacKaye from 1920 to 1953; a typescript by MacKaye titled “Edison: The Planetary American,” and a typescript address given by Miami University President Raymond Hughes to the National Association of State Universities about university fellowships in creative art. The collection also includes several items of printed material by or about Percy MacKaye and his wife, Marion Morse MacKaye. Photographs of Percy MacKaye complete the collection. Richey Collection of the Southern Confederacy: This collection includes over 500 pieces of correspondence relating to Jefferson Davis, president of the Confederate States of America, and Confederate generals, including G.T. Beauregard, Braxton Bragg, Samuel Cooper, Joseph E. Johnson, Robert E. Lee, James A. Seddon, E. Kirby Smith, Richard Taylor, and William H. Thomas, among other noted figures of the Civil War and the mid- to late-19th century. Correspondence of Varina Davis, Mary Randolph Custis Lee, and Mary Custis Lee, together with some photographs and other pieces of ephemera, can also be found in the collection. 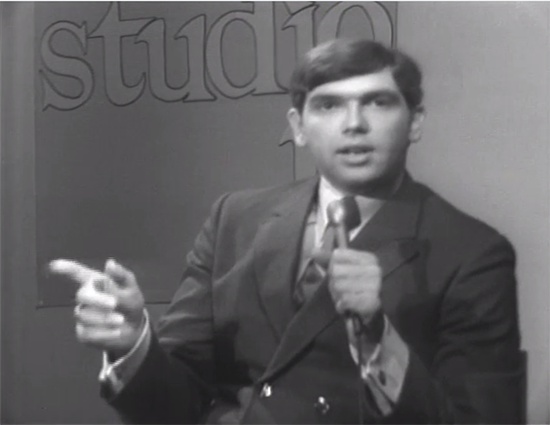 Rick Ludwin Collection: The majority of the Rick Ludwin Collection focuses primarily on NBC TV primetime and latenight programming beginning in the 1980s through the 1990s, with several items from more recent years, as well as a subseries devoted to The Mike Douglas Show, from the late 1970s. Robert B. Stanton Collection: This collection includes photographs, diaries/journals, and correspondence of Robert Stanton (1846-1922), civil engineer and Miami alumnus. 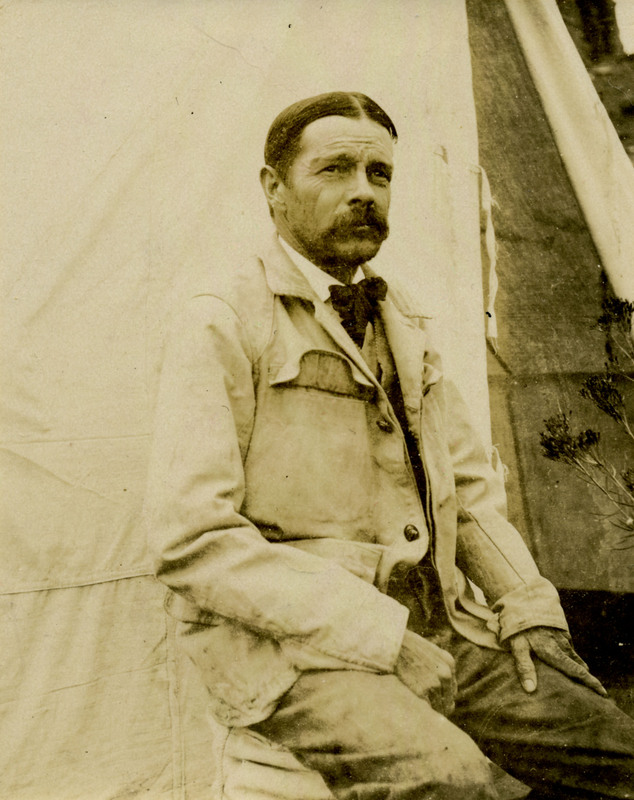 It provides an account of his participation in a surveying expedition to determine the feasibility of constructing a railroad through the Grand Canyon, 1889-1890. The survey is one of the fullest primary records ever made of the Colorado River from Grand Junction, Colorado, to the Gulf of California. Meticulously, Stanton recorded with pen and camera the day-by-day progress of the exploration survey. Robert Reed Collection (pdf): The Robert Reed Collection, which is part of the Transportation Archive, consists of photos from train wrecks. Robert Reed was born in Toledo, Ohio in 1937. He later received a B.A. 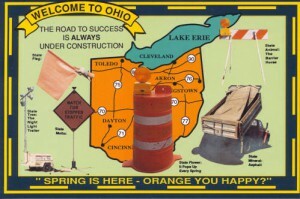 from Miami University and master’s degree from Bowling Green State University. After college he taught at various schools including: St. Stephen’s School, Marymount University and George Washington University. Reed published several books: The Streamline Era, The New York Elevated, and his most popular book, Train Wrecks: A Pictoral History of Accidents on the Main Line. The premise of Train Wrecks is the focal point of this collection. Rodolfo Usigli Archive: The Usigli Archive is a repository of the papers of Rodolfo Usigli (1905-1979), Mexican playwright, essayist and diplomat. The Archive is the definitive research collection relating to Usigli’s life and career, including correspondence, both manuscript and typed drafts of original plays and translations of works by other artists, personal, theatrical, and diplomatic photographs, essays, books, playbills, posters, theses written about Usigli, awards, newspaper and magazine articles, memorabilia, and ephemera. Samuel Fulton Covington Collection: Samuel Fulton Covington (1819-1889) was a business, civic, and political leader in late 19th century Cincinnati whose personal collection of books and pamphlets on the Old Northwest Territory and the Ohio River Valley now constitutes a significant collection and subject strength in the Walter Havighurst Special Collections. Spiro Peterson Center for Defoe Studies: This collection includes more than 550 volumes, including 70 different printings of Defoe’s best known work Robinson Crusoe, and more than 100 reels of microfilm. 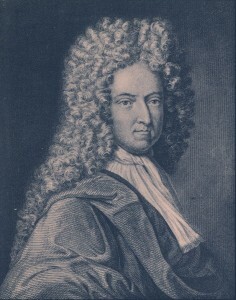 Daniel Defoe (1660-1731), English novelist, pamphleteer, and journalist, author of Robinson Crusoe (1719-22) and Moll Flanders (1722). A man of many talents, he was not only a writer, but also a businessman, secret agent, and journalist. The Defoe collection includes books, microfilm, documents, maps, notes and files on Daniel Defoe and early fiction. Victorian Trade Card Collection: The Miami University Libraries contain several hundred advertising trade cards. 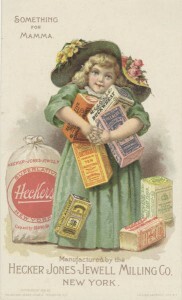 Trade cards were typically used to advertise products and services, such as patent medicines, thread, sewing machines, food and beverages, and farm equipment. Trade cards reached the height of their popularity during the 1880s and 1890s. Reduced postal rates and the rise of magazine publishing led to the eventual decline in popularity of this unique American form of advertising. Waldo F. Brown Collection (pdf): This collection includes diaries kept by Waldo F. Brown or his family from 1853 through 1917, together with address books and account books. Ordnance papers of the 4th Ohio Volunteer Cavalry from 1863 through 1866 are also included in the collection. 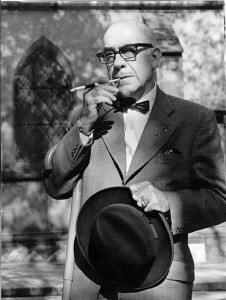 William Ashton Collection (pdf): This collection of papers pertaining to William Ashton includes manuscripts, including medical notes, letters, essays, and poetry; printed material, featuring agricultural publications and newspaper clippings; and artistic ephemera, such as a wallpaper design of Ashton’s. William Dean Howells Collection: This collection includes correspondence sent by William Dean Howells between 1861 and 1918; poems written by Howells between 1858 and 1886; an undated manuscript titled “The Novels and Stories of Frank R. Stockton;” prints and photographs of Howells; copy negatives of personal photographs of Howells and his Hamilton, Ohio home; and miscellaneous newspaper articles, correspondence and manuscripts regarding Howells. William Holmes McGuffey and the McGuffey Readers: 120 manuscript letters, contracts + four volumes of an unpublished manuscript believed to be by William Holmes McGuffey on moral philosophy (one volume believed to be completely in McGuffey’s hand). These papers cover the time period 1814-1955, the bulk between 1826-1874, in three archival boxes + more than 300 editions of the McGuffey readers and spellers. William Merriam Gibson Collection (pdf): This collection includes correspondence and printed material pertaining to William Merriam Gibson’s research and collecting efforts, together with student papers and newspaper articles regarding William Dean Howells. 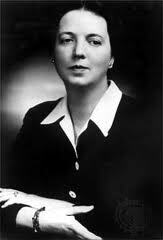 Working Library of Louise Bogan: Approximately 2,000 volumes, the collection includes many annotated review copies of the works of her contemporaries, as well as her general poetry and literary criticism collections. A complete list of the items in her working library available in Special Collections may be found in the main library catalog.